Northern Illinois University is pleased to announce the establishment of its first endowed fellowship in its College of Business. 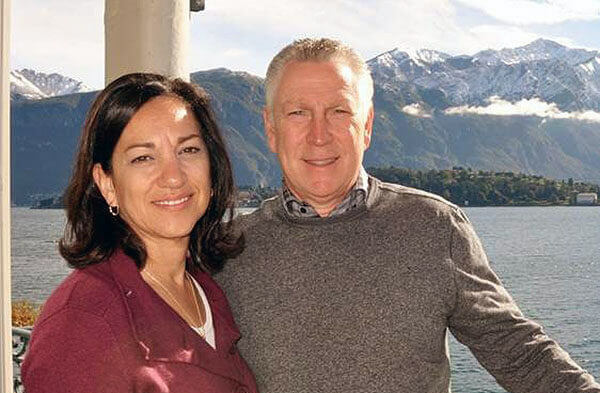 Named the David and Joanne Weick Endowed Faculty Research Fellowship, this $250,000 endowment will provide annual support to faculty who plan to execute innovative research in business and technology. In addition, the fellowship will allow NIU to recognize faculty for their critical research and fulfills a great need to fund this research. “Award-winning teaching in the classroom often begins with thought-provoking research outside of the classroom. We are very grateful for the Weicks’ generous gift in support of faculty. Faculty across colleges at NIU will be eligible for this annual research award on important topics related to business and technology,” said College of Business Dean, Balaji Rajagopalan. “The heart and soul of a university is great faculty. They are the ones who directly impact a student’s experience in the classroom, which serves as a launching pad to a successful career,” said Dave Weick. “When Joanne and I graduated, we both were well-prepared for business and life. We want our philanthropy to reward bright, hard-working faculty who are making a difference in the world. Funding for faculty research is in short supply, yet extremely important. We are thrilled to address this need for our alma mater,” said Weick. The Weicks started funding annual stipends of $10,000 for faculty research about five years ago. Dave Weick retired as the chief information officer and senior vice president for Global Shared Services for McDonald’s Corp. He currently serves as chairman of the board of directors for the Trustmark Companies. Joanne Weick retired after a short six-year career to become a stay-at-home mom. During the next 30 years, she held many leadership positions on various nonprofit boards, including president of the Special Recreation Association of Central Lake County, the Hawthorn Woods Women’s Club and the Sotos Syndrome Support Association. She also spent a decade as an elected official at the village of Hawthorn Woods.